Published in conjunction with the centennial of the United States' entry into World War I, this collection of essays explores the war experience in Utah from the multiple perspectives of soldiers, nurses, and ambulance drivers who experienced the horror of the conflict firsthand and of those on the home front who felt the widespread and varied impact of the war. Apart from the many citizens who took active roles in supporting the war effort, some Utah native Americans and an Episcopal bishop, among others, resisted the war. The terrible 1918-1919 flu pandemic killed more victims around the world than had died on the battle fields, and it did not spare Utah. A Red Scare and a fight over United State participation in League of Nations followed the war. These essays help us understand the nature and complexity of the conflict and its impact on Utahns. 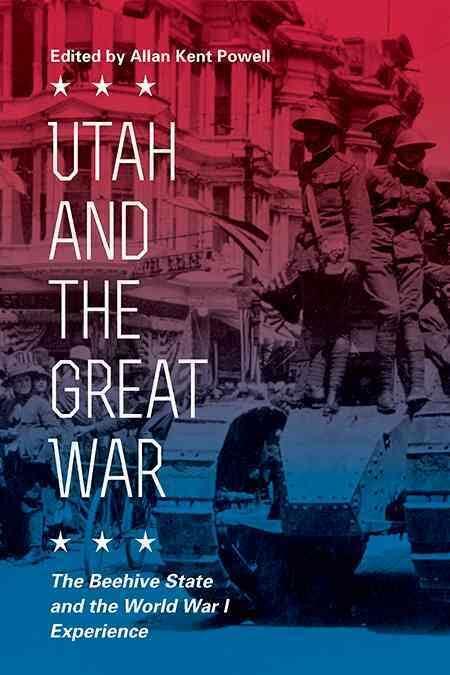 Utah and the Great War includes articles by James B. Allen, Leonard J. Arringtron, Kerry William Bate, Marcia Black, Timothy S Hearn, Andrew Hunt, Brandon Jonson, William G Love, Robert S. McPherson, Miriam B. Murphy, Joerg A. Nagler, Helen Z. Papanikolas, Allan Kent Powell, Richard C. Roberts, John R. Sillito, and David I. Wood.